Natalie Younger is a Chicago-based actor, writer, comedian and over-indulged youngest child. Hailing from Naperville and graduating from The Theatre School at DePaul University, Natalie can't seem to fall out of love with the Midwest. 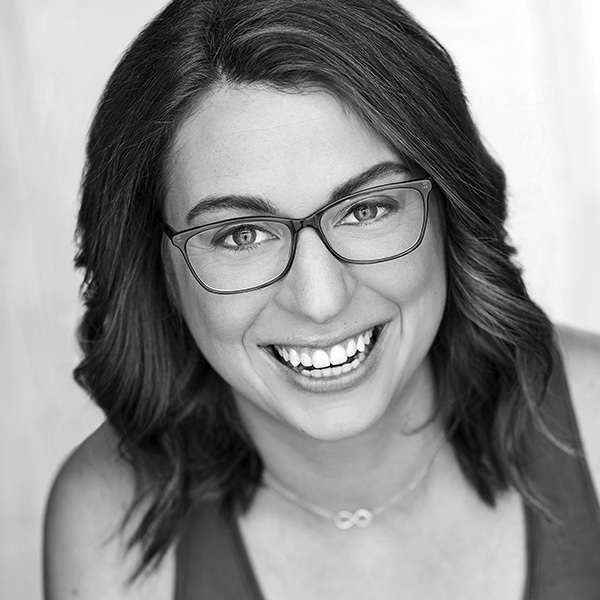 She has filled her Chicago comedy BINGO card -- having been fortunate enough to train and perform at all of the major institutions this city has to offer, including The Second City Conservatory, iO Chicago, ComedySportz and pH Comedy. Natalie is thrilled to play with her Laugh Out Loud family. She is also an ensemble member at ComedySportz Chicago and is represented by Actors Talent Group. When not performing, she co-runs local animation boutique, The Banditry Co. Natalie would like to thank her husband and dog for forfeiting her to rehearsals and shows on most nights and weekends.